The fascinating style of the tulle wedding favors, even though it emanates the splendid aroma of classic, it is more modern than ever in our days. And this is because, with careful market research, it will be the most Precious & Pretty item of your wedding, with a really low cost! Naturally, there are small secrets, which can lead you to the “ultimate choice” of the tulle favor, like no other you have seen, and which mainly will match the style of your own unique wedding. Simplicity is always striking! Tulle, as a fabric, is itself gracious and ethereal and doesn’t need to be laden with many things! The choice of the ribbon, the pin or other elements of the setting should complement and not outshine the leading role that the tulle should have in the creation we will offer to our friends and family! What to watch while choosing my tulle favor? We all have noticed that although millions of tulle favors have been produced over the years, only the truly amazing ones “have hit the eye” with the first glance. What is it that makes these ones distinguish from the rest? The harmonious whole: The combination of the accessories of the favor is of great importance, which they should bind harmoniously with the tulle, as well as among themselves, with the style of the wedding, the decoration, even with the season that the ceremony is taking place. The ideal outcome will be the ensemble that speaks to the “souls” of the wedding guests, reflecting the taste and the personality of the newlyweds! Fastening and “set up”: Apart from the design of the favor, it is really important to find the appropriate human hand that will implement it successfully. Our tulle favor, should be standing “proudly” and not “bending over”, our tulle should be carefully supported at the edges, with no dissimilar creases, unless the design dictates otherwise! The knot or the bow we will choose, it is necessary to be symmetrical to the height and the width of the favor. Even how many koufeta (sugar coated almonds) we want to use, will be significant for the bulk, the stability and the overall aesthetic quality of our favor! These small details may seem simple, but – in fact – they are not! The person that makes the favor, must have skill, patience and adherence to the original design, even if he/she has to manufacture 1000 favors, and this isn’t always easy! Favors made by French or Greek tulle? In the Greek wedding industry has prevailed the view that the French tulle has a softer texture than the Greek one. Up to five years ago this was true, but nowadays there are imported tulles of equally good quality, with a harder or softer texture, that can’t be distinguished from the French tulle. This is something that particularly serves us, as we can choose between those tulles, according to what we want our favor to send out; we want it to be more aristocratic, romantic or send out an aura of nostalgic innocence. In many cases we can combine them, but it takes a lot of experience and attention to get a flawless result. There are innumerable other small secrets that make the choice, as well as the creation, of a tulle favor ravishing, and of course many Precious & Pretty solutions that we will most definitely find together, even if you are in a rush, even if you have a limited budget. Besides, we don’t buy the precious moments, we create them! 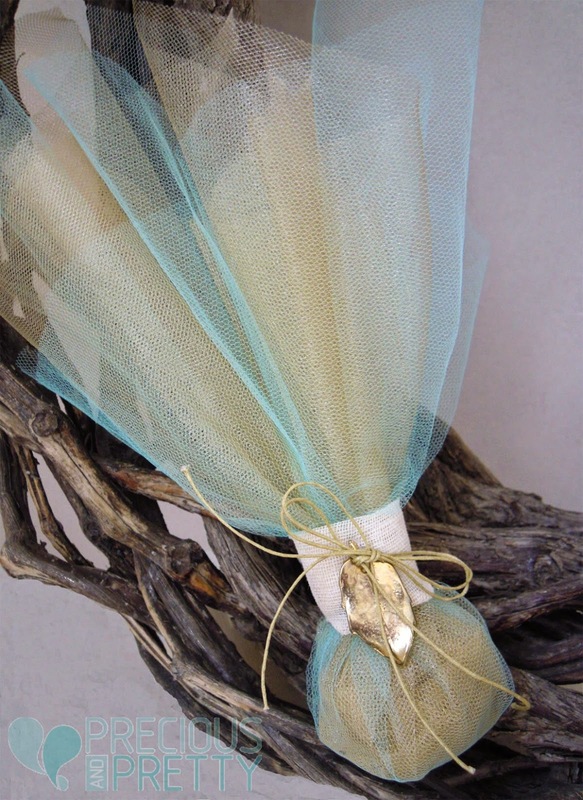 https://www.preciousandpretty.com/2018/12/tulle-favors-elegant-choise-for-your-wedding.html Greek Wedding Favors|Orthodox Crowns|Stefana|Baptism Invitations Tulle favors an elegant choice for your wedding Wedding favors made with tulles and all that you need to know before choosing one. Product #: Greek Wedding Favors|Orthodox Crowns|Stefana|Baptism Invitations_7327239835727921150 5 stars out of 5 reviews.